The Christmas season is right around the corner. Can you believe it? And we’re having a whole-church party you just HAVE to attend. 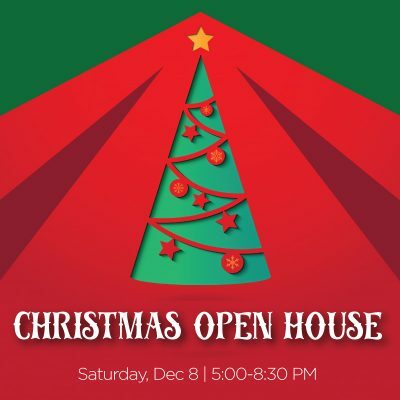 Join us for the Center Church Christmas Open House on Saturday, December 8, between 5:00-8:30 PM, at the home of Center Church Lead Pastors, Marcus and Jen Jones. Stop by with your family and enjoy light eats and hot drinks with the rest of your Center Church community.